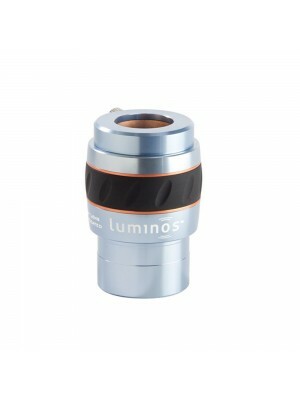 The Luminos series eyepieces offer a wide 82º field of view in both high power and low power models, allowing you to make the most of your telescope, whether you own a short, fast refractor or a longer focal length telescope. The optical set consists of six or seven elements (depending on the model) and is fully multi-coated for crisp, sharp views. All six Luminos eyepieces are parfocal, which means you can switch out eyepieces during observing sessions with little or no additional focusing required. All the Luminos series is made with an anodized barrel and partially round coated with rubber, in order to ensure a firm and secure grip. The retractable rubber eyeshell provides an additional comfort during observations, suitable also for those who wear glasses, as well as enhance the contrast of images protecting the eye from stray light. All lenses has a Fully Multi Coated treatment ensuring ultra sharp images without compromaising the contrast or adding false color. 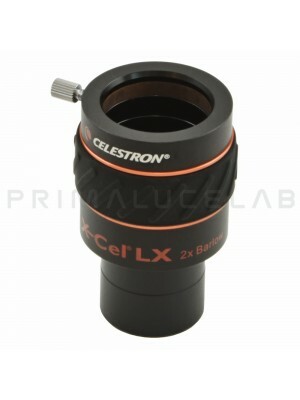 - High optical quality with 6 or 7 elements. The result is a very detailed image throughout the all field (the apparent field is 82°) allow you to appreciate a large star field, the smallest planetary nebulae, double stars which are more difficult or the core of globular clusters. - Long eye relief: for greater viewing comfort, even for those who wear glasses. - High level construction and finishing with body completely of anodized aluminum and rubber eyecups fold. - Anti-reflective coating Fully Multi Coated for sharp images and free from unwanted reflections. - Eyecups rubber retractable: Suitable for those who wear glasses but also for those who doesn't. 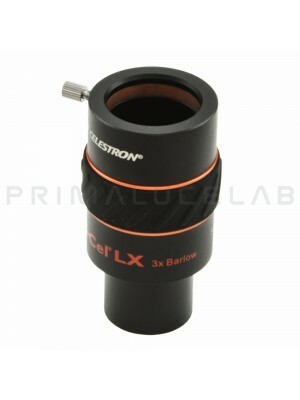 Each eyepiece comes with two protective covers for the lenses.